Celebrating a Spring Wedding? Or a Graduation Party? 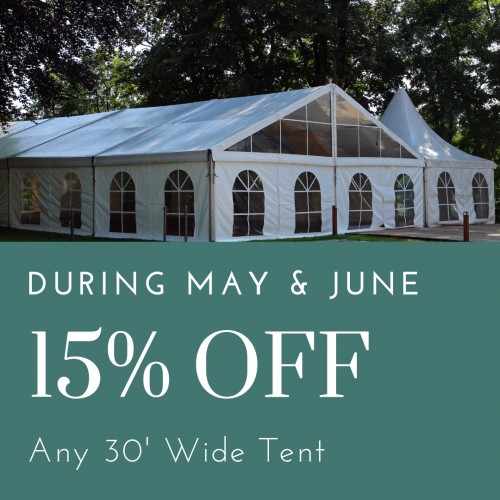 Take 15% off Any 30' Wide Tent in May and June!